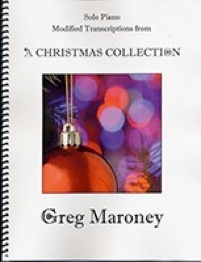 A Christmas Collection songbook is the companion sheet music to Greg Maroney’s 2011 recording by the same name. 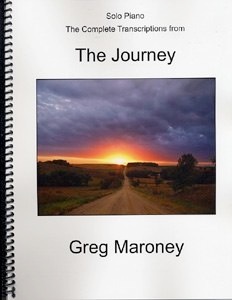 Greg’s songbooks are usually transcribed note-for-note (or very close to it!) to the recordings, but he wanted his Christmas sheet music to be playable for pianists at a more intermediate level. The transcriptions don’t vary much from the recording, but some of the timing was simplified a bit, some of the chords were shortened a little, etc. - minor adjustments like that. 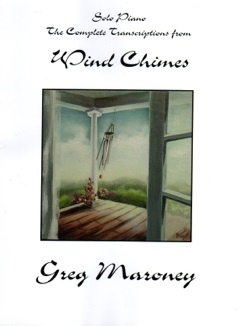 Greg kept most of his twenty arrangements straight-forward and traditional, although some of them have brief interludes that were most likely improvisations on the recording (included in the sheet music). This collection is perfect for pianists to play for their own enjoyment, church pianists, and anyone who wants a large number of Christmas songs in one book that are not overly challenging but sound great. Most of the pieces would also be excellent accompaniments for sing-alongs as well as solo piano performances. As usual, Greg did the transcriptions and I worked closely with him with edits and suggestions. The notation is nice and roomy, clear, and very easy to read. The book is spiral-bound to stay open on the piano. Dynamics, metronome settings, and expression are all clearly marked. A couple of the pieces have chords that are the reach of a tenth, but those can be rolled or a note can be removed for smaller hands. 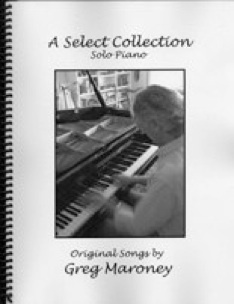 This is a beautiful collection for pianists of all ages and is available from gregmaroney.com and Amazon. Recommended!! !